Today’s gift is ABBYY FineReader Professional by Abbyy.com. It might be an odd piece of software for many of my respected readers, But on the hand, It is an extremely useful program for those who work in offices and have to type all the day. 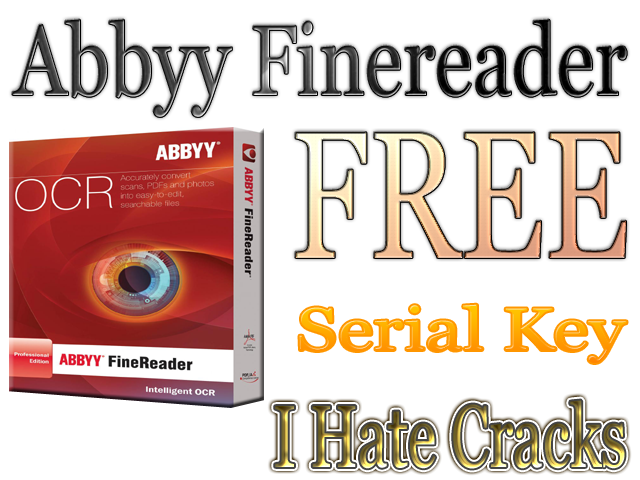 You can use ABBYY FineReader version 5, one of the best OCR software, for free without having to use Abbyy Finereader Professional edition crack. Though it’s an older version but still can fulfil your needs. The FineReader application converts scanned images into editable file formats and has received an “Excellent” rating by PC Magazine. The latest version, FineReader 12, recognizes printed text in 190 languages. ABBYY FineReader OCR can accurately convert paper and image documents into formats that can be edited with ease such as Microsoft Office and searchable PDF etc. It has an easy to use interface through which you can quickly and efficiently reuse their content, archive them. As well as, you don’t need to spend hours to retype text documents. You can instantly access to the entire document of any size and ABBYY FineReader supports 190 languages for text recognition and document conversion. As I mentioned earlier the latest version is Abbyy finereader 12 and you can get version 5 for free. To grab a free serial key. Download Abbyy Finereader pro 5 multi language installer from here and install. Visit the Google Translator and translate the promo page french to english, Now submit the the required information to receive a free key in your mailbox.